Choose your port based on your lens. Prices include port, extension ring and zoom gear when required. The Sea & Sea Nikon D850 housing has been expertly engineered and machined to be lightweight without sacrificing functionality. Weighing 11% less than the Sea & Sea Nikon D810 housing, it is also lighter than both the Nauticam and Aquatica aluminum D850 housings. 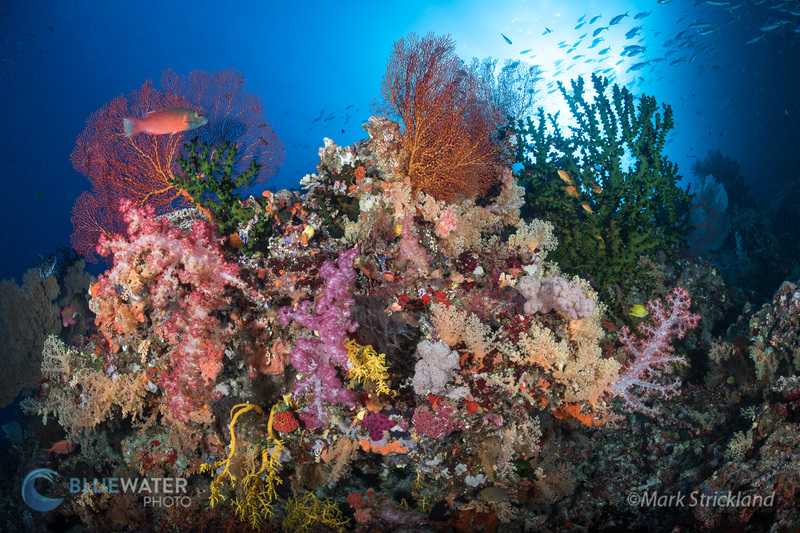 Learn more about the D850 features and why we love it for underwater photography in our full review. Smaller Size and Lighter Weight - The D850 housing has been machined to be extremely lightweight. In addition Sea & Sea revised the internal design in order to reduce the overall size of the housing in addition to limiting weight. Without handles, the housing weighs only 6.2lbs (2.85kg). C ontrols Within Reach - Improvements to locations of important controls have been updated, allowing for easy reach while maintaining a grip on the housing handles. The frequently used Main and Sub-Command dials are now located directly on the right side of the housing. 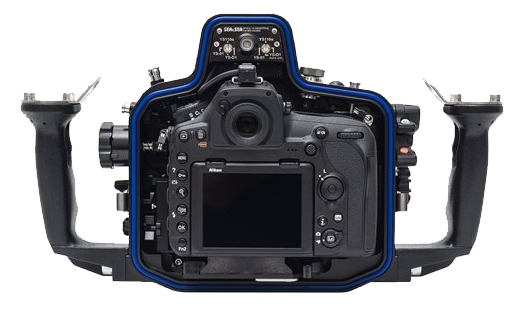 ISO, REC and other camera functions can be operated by external levers whilst holding the grips. Quality Build - all dials in this housing include a spring (damper) which prevents slipage, even if the camera dimensions are slightly different than the spec or as parts begin to wear over time. The buttons and controls all include luminescent stickers which glow in dark enviornments, making it easy to identify your controls during night dives. The housing includes a leak sensor, and sacrifical zinc anodes to prevent damage from electrolysis. 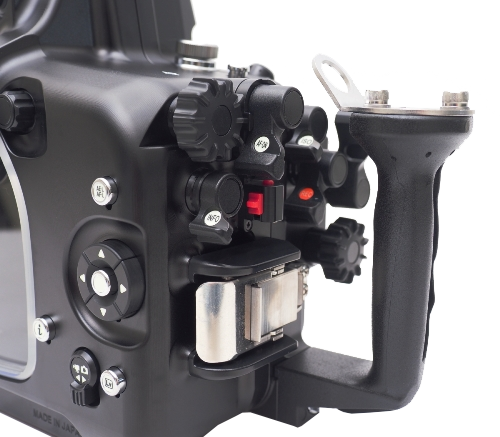 Superior TTL Control - The Sea & Sea Optical YS Converter/N1 can be built into the housing which converts the camera’s hot-shoe TTL signal to a light signal for accurate TTL controls with your underwater strobes. Both TTL and manual strobe modes can be used and controlled from the housing using a Fiber-Optic Cable II. Easy to remove handles, makes packing for travel a breeze. Equipped with the Optical Viewfinder 0.5x as standard. Other optional viewfinders such as Sea & Sea VF45 Viewfinder and Sea & Sea 180 Degree Viewfinder can be used. Includes a sync cord bulkhead. The sync cord 2-pin connector enables use of conventional hardwired Sync cable (Manual mode only).